Path-breaking research on women and literacy in the past decade established conventions and advanced innovative methods that push the making of knowledge into new spheres of inquiry. Taking these accomplishments as a point of departure, this volume emphasizes the diversity—of approaches and subjects—that characterizes the next generation of research on women and literacy. It builds on and critiques scholarship in literacy studies, composition studies, rhetorical theory, gender studies, postcolonial theory, and cultural studies to open new venues for future research. emergent roles of women and literacy in a globally interdependent world. This broad, significant work is a must-read for researchers and graduate students across the fields of literacy studies, composition studies, rhetorical theory, and gender studies. "…the incredible labor, commitment, and ingenuity embedded in each bit of information concerning the lived experiences of women learners and users of English around the world [that] is gathered in this collection…. compels me to read against the grain of…our existing notions of what counts as useful information for Composition students, researchers, and teachers…." Contents: Preface. 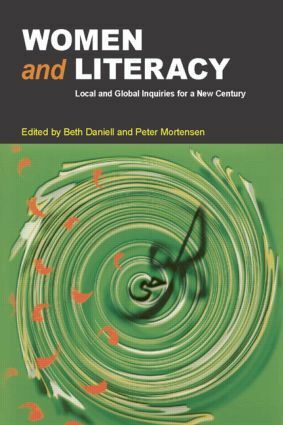 P. Mortensen, B. Daniell, Introduction:Researching Women and Literacy: Usable Pasts, Possible Futures. Part I: Women’s Literacies Situated Locally: Past, Present, and Future. D. Strickland, Feeling Literate: Gender, Race, and Work in Dorothy West’s “The Typewriter”. R.E. Lathan, Crusader: Ethel Azalea Johnson’s Use of the Written Word as a Weapon of Liberation. K.M. Powell, Virginia Mountain Women Writing to Government Officials: Letters of Request as Social Participation. K. Donehower, Reconsidering Power, Privilege, and the Public/Private Distinction in the Literacy of Rural Women. C. Hogg, Sponsoring Clubs: Cultivating Rural Identities Through Literacy. H. Roskelly, K. Ronald, Literacy on the Margins: Louisa May Alcott’s Pragmatic Rhetoric. K.T. Flannery, “Diverse in Sentiment and Form”: Feminist Poetry as Radical Literate Practice, 1968-1975. B.K. Smith, Branding Literacy: The Entrepreneurship of Oprah’s Book Club. Part II: Women’s Literacies in a Globally Interdependent World. S. Watson, M. Young, Professing “Western” Literacy: Globalization and Women’s Education at the Western College for Women. K. Walters, Considering the Meanings of Literacy in a Postcolonial Setting: The Case of Tunisia. G.E. Hawisher, C.L. Selfe, with K. Coffield and S. El-Wakil, Women and the Global Ecology of Digital Literacies. I.W. Crawford, The Emotional Effects of Literacy: Vietnamese Women Negotiating the Shift to a Market Economy. M.K. DeShazer, Postapartheid Literacies: South African Women’s Poetry of Orality, Franchise, and Reconciliation. G. Gong, Gender and Literacies: The Korean “Comfort Women’s” Testimonies. C.L. Hobbs, The Outlook for Global Women’s Literacy. Segue. M-Z. Lu, Afterword: Reading Literacy Research Against the Grain of Fast Capitalism.